They didn’t walk into a bar together, but they did join forces at my desk. 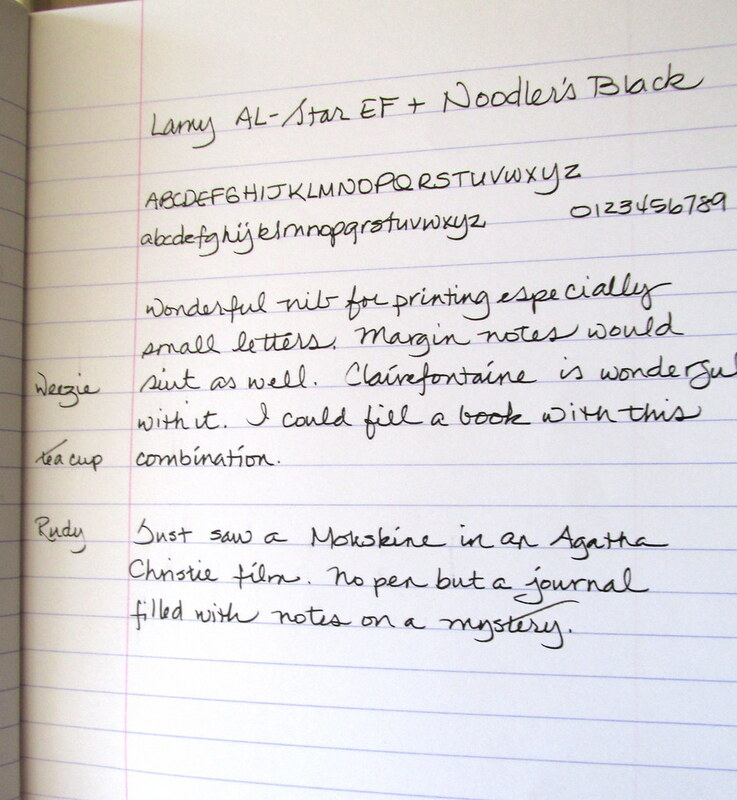 Noodler’s Black, a Clairefontaine notebook and a Lamy AL-Star EF make a delightful trio that is suitable for use anywhere including that bar. 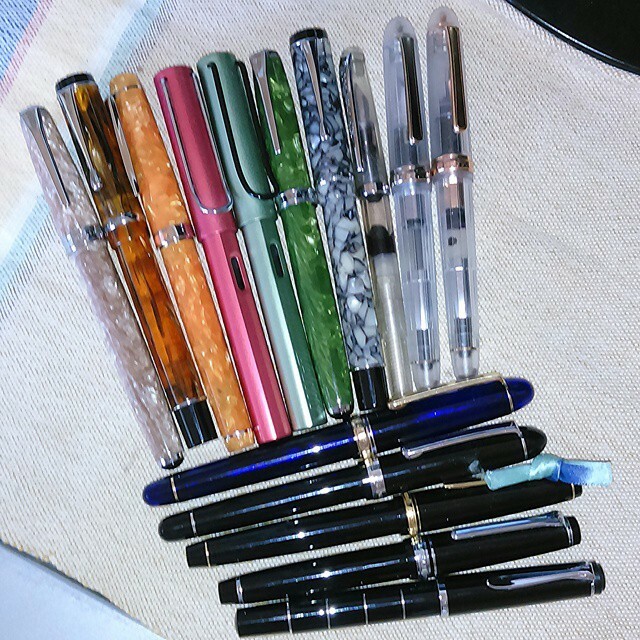 Unlike my fancy, schmancy pens, $40 bottles of ink, and leather-bound journals, this set-up could get lost or destroyed and then easily replaced without busting my budget. What makes these three tools so special? The Lamy may not be the most comfortable pen, but for the smooth nib, a little discomfort can be tolerated. 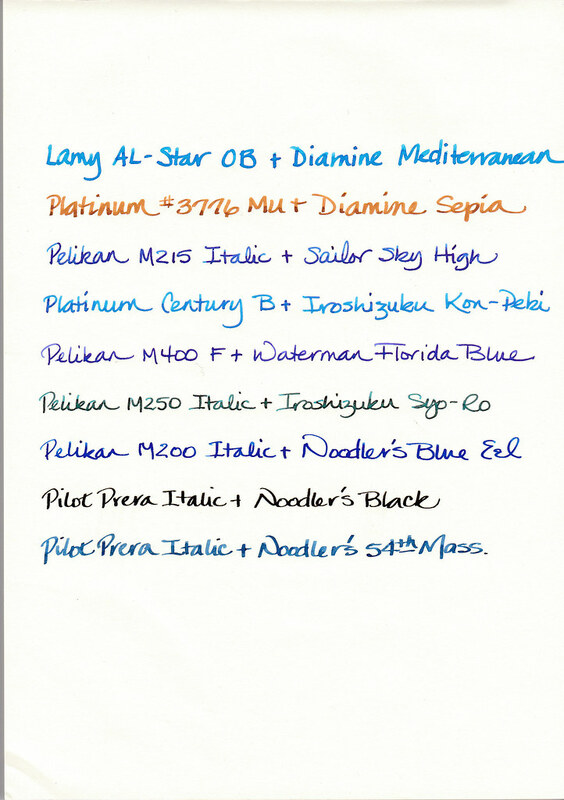 Noodler’s Black makes every fountain pen a winner and gets my unqualified vote of confidence. 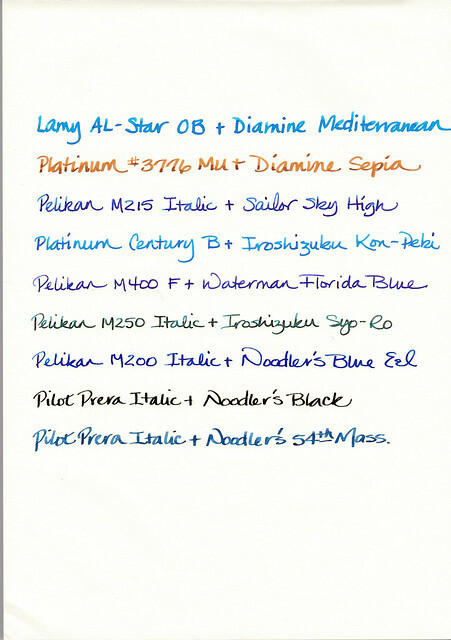 Clairefontaine paper is good with any ink and available at a wide variety of retailers including Writers Bloc from whence mine came. Put the three together and this is what you get. Toucan fountain pen ink is now shipping to the U.S.
Well, sort of. 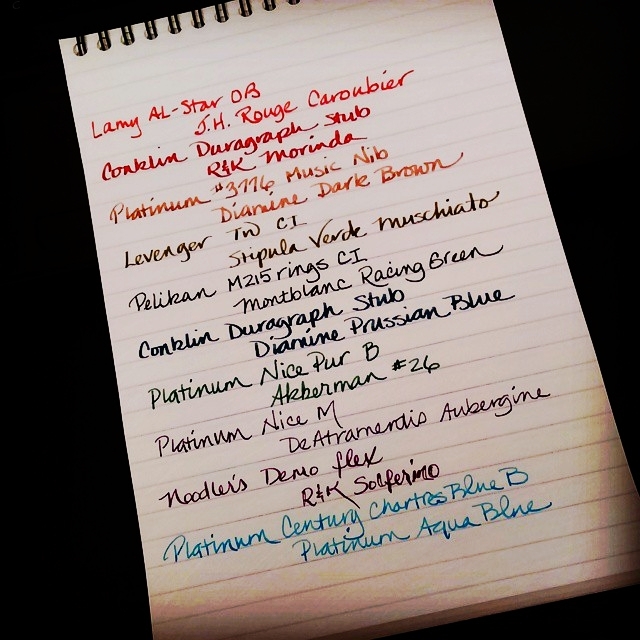 These are the inks in use today from the assortment of pens on my desk. The tally is telling with seven of nine in the blue family. 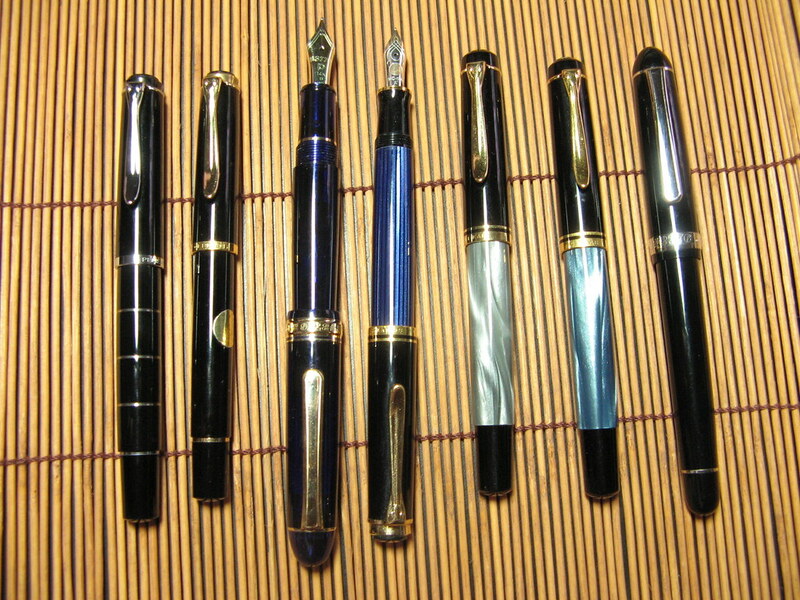 The nibs are with one exception in the wide range and only the Platinum and Lamy nibs were not tweaked in some way. The paper is the outstanding Tomoe River from PaperForFountainPens.com. 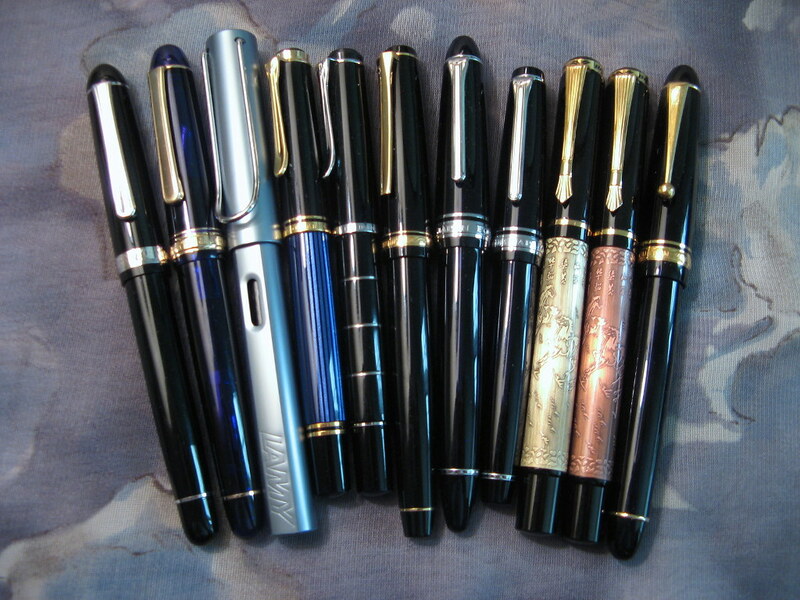 It might be unfair that it makes every ink and nib look good, but that’s hardly a complaint. 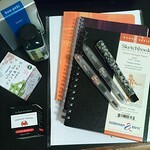 March is the month in which green ink invariably gets a twirl. 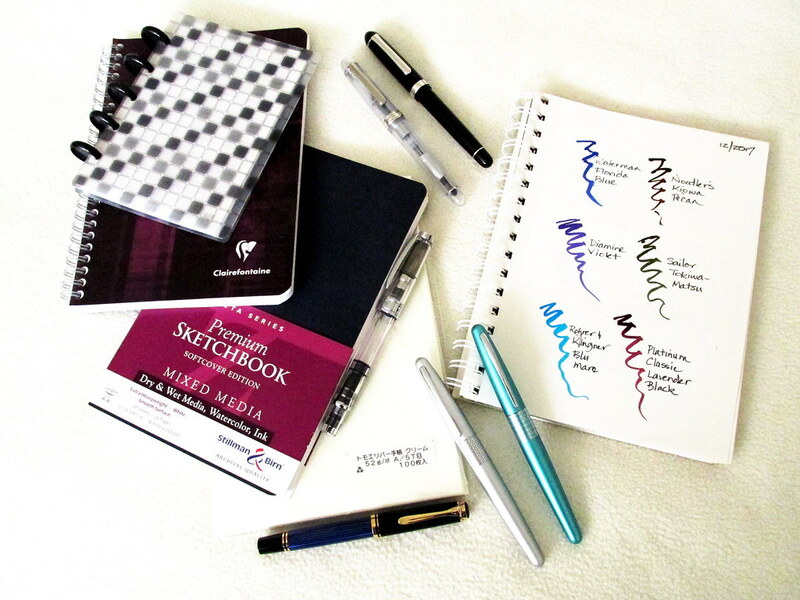 This year it will be either J. Herbin Lierre Sauvage or Iroshizuku Shin-Ryoku or possibly both. Now for the pen. Italic or flex? Which would you choose for green ink? The ink colors could be more saturated and the paper is actually a warm white, but adjusting the scan might make it less honest. So no adjustments this time.